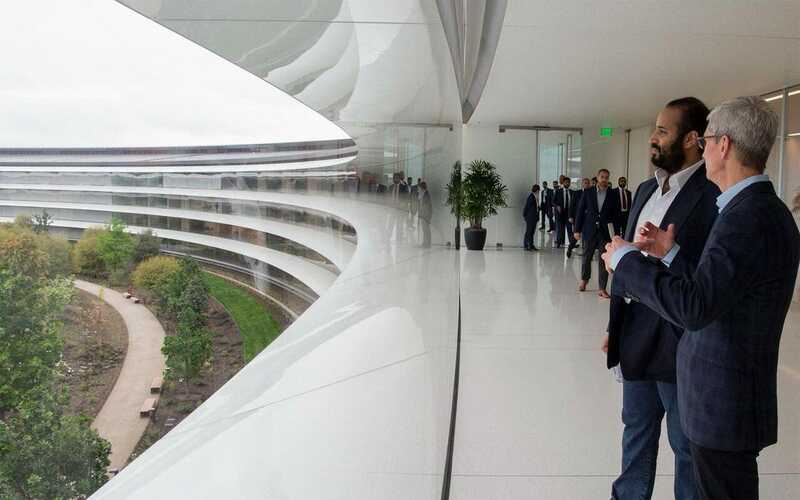 He even got an extremely rare tour inside the $US5 billion Apple Park campus, including face time with Cook and other executives. 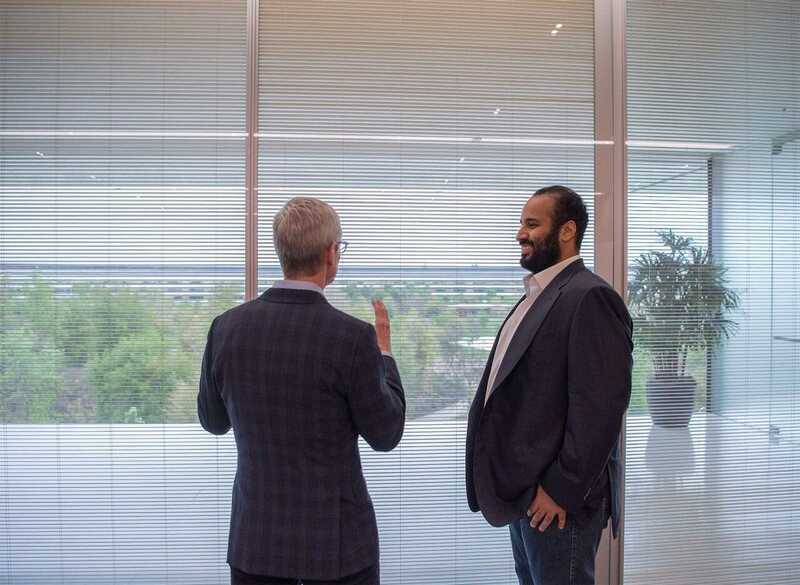 While at Apple, he discussed developing applications in Saudi Arabia and new Arabic-language educational content, according to a Saudi press release. He also got to discuss education, health, and marketing, culminating in a presentation at the Steve Jobs Theatre, where he received a presentation on Apple’s “modern voice applications,” according to the Saudi Press Agency. 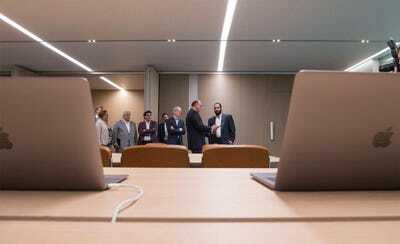 At Google, the prince met with the founders Larry Page and Sergey Brin as well as CEO Sundar Pichai, according to the Saudi Press Agency. He was briefed about Google’s “electronic cloud, artificial intelligence, and automatics learning,” according to the press release. They discussed ways to cooperate on cybersecurity. The prince also took some time to sit down with some of technology’s top investors, including Peter Thiel, Marc Andreessen, Sam Altman, and Vinod Khosla. 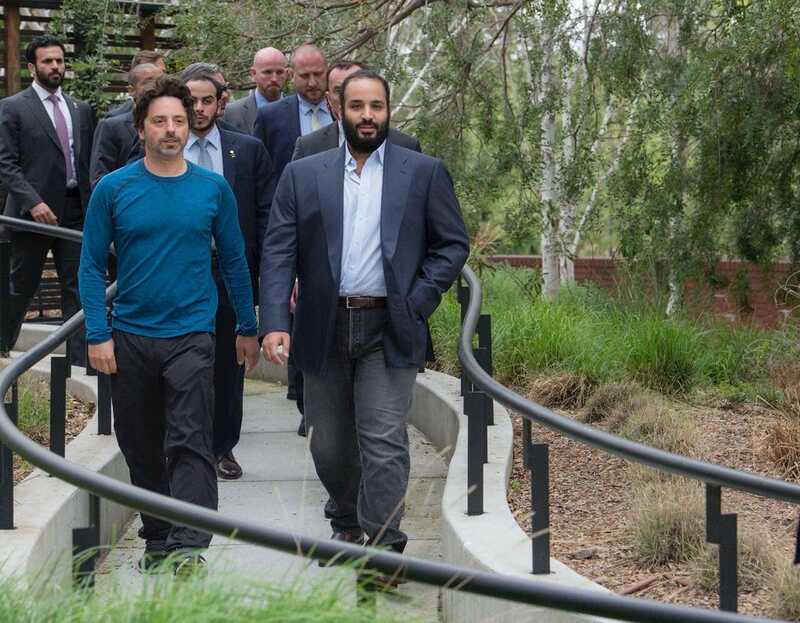 The prince’s Silicon Valley trip started with a visit to Google headquarters, where he met the founders Larry Page and Sergey Brin. Only Brin, left, is in this photo, though. 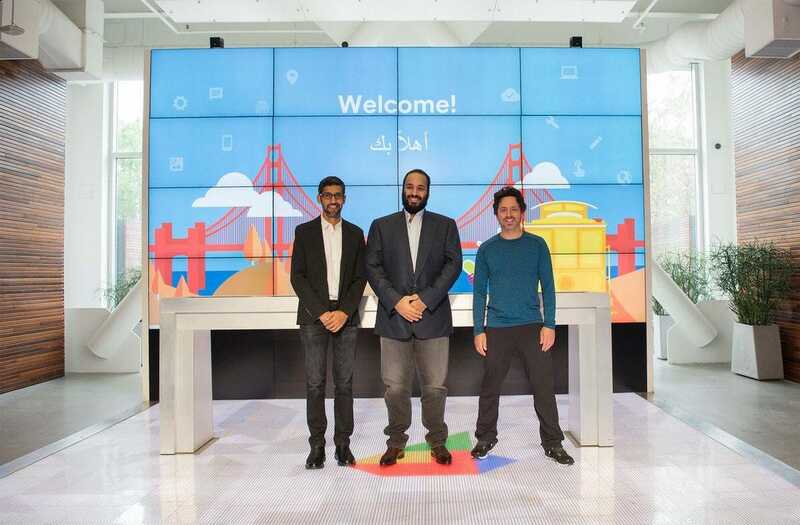 Prince Mohammed also took the time to meet other Googlers, including Hiroshi Lockheimer, the head of Google’s Android and Chrome divisions. The prince also got a ride in one of Waymo’s driverless minivans,Bloomberg reported. 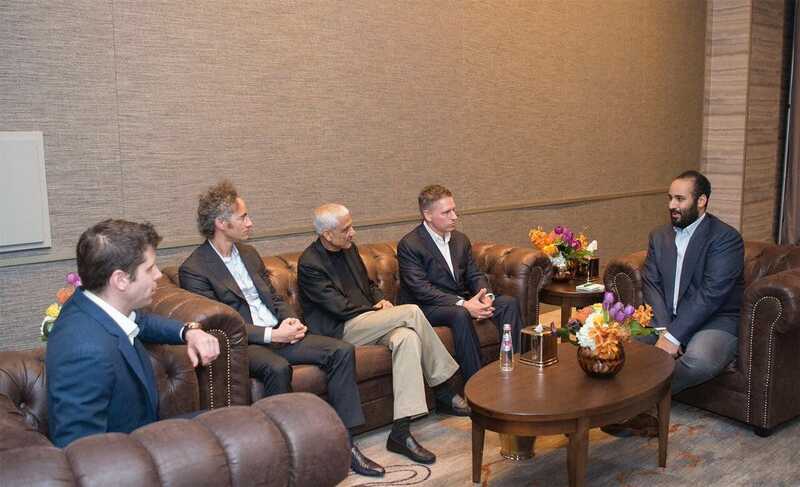 Then the crown prince met with some high-profile investors. 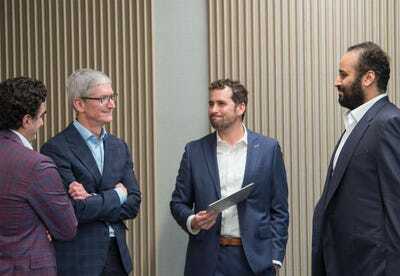 Here he’s speaking with Peter Thiel, who was Facebook’s first big investor. Thiel now sits on the board of the data-analytics company Palantir. 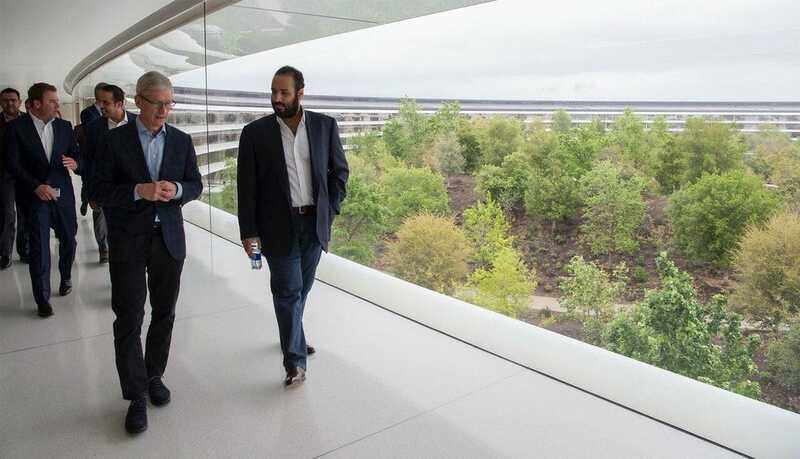 Maybe Tim Cook is pointing out the 37 varieties of fruit trees planted at Apple’s new campus. But he’s in a better mood in this picture. 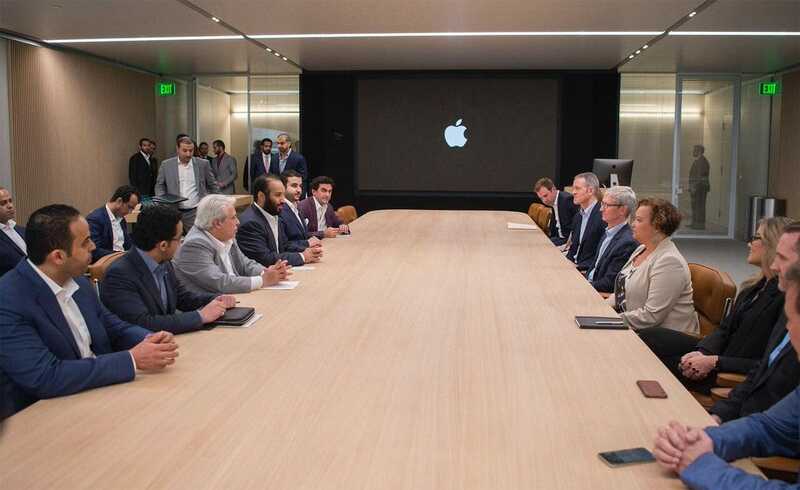 The Saudi delegation had a formal meeting with Apple officials, a group that included the chief operating officer Jeff Williams and two of the women on Apple’s executive team. They were Lisa Jackson, the vice president of the company’s environmental policies, and the retail senior vice president Angela Ahrendts. 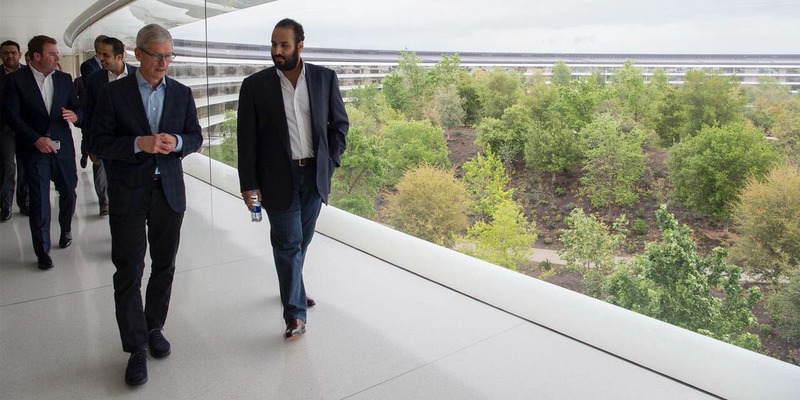 The crown prince may own the world’s most expensive house, which cost $US300 million, but Apple Park cost $US5 billion, and the views from the fourth floor are stunning.